Chase Gillete and Cristina Bautista’s world collided when their careers brought them together at the perfect timing. 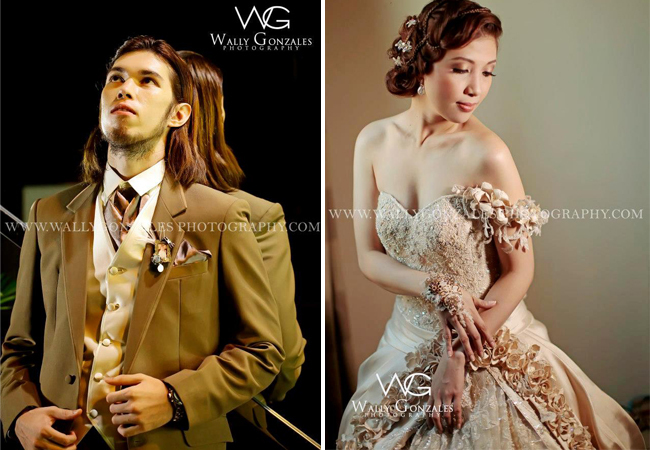 It was love at first sight that led to an unforgettable and glamorous Victorian Vintage Wedding last February 2013 at Notre Dame de Vie Chapel. Chase and Cristina met for the first time at the Philippine General Hospital where she was about to meet her trainee. Cristina was working for a German company dealing with medical supplies while Chase was the lucky trainee who instantly fell in love with her trainer. The courtship started when Chase “applied” to Cristina with a resume and application letter, showing his intent to become her boyfriend. Six months later, at a prayer session in Baguio, they officially became a couple. At the height of the Habagat calamity in 2012, Chase’s plan for a wedding proposal was almost ruined. He planned to go on a trip to Baguio and pop the question but Cristina’s house was affected by the flood and roads were impassable. But by God’s grace, Chase was able to push through and Cristina happily said “Yes!”. The very next day was the start of their wedding planning. It was Cristina’s big dream to get married in Italy and experience a gondola ride in Venice. Lucky for them, there is a garden wedding venue in Manila that offered a Venetian architecture and a gondola ride. For the wedding planning, Cristina acted as the concept manager and over-all planner while Chase was the consultant and budget officer. Aside from the venue’s Venetian architecture, Cristina thought of incorporating Victorian vintage to their wedding by loading it with damask patterns, lace, feathers with a classy and elegant color motif of black, silver and gold. They asked their guests to come in wearing black, silver or any neutral color. For the finer details, Cristina chose to go DIY. Their DIY wedding details were the scroll invitations, 10 large picture frames for the gallery by the groom, and Cristina’s masterpiece was her vintage brooch bouquet which she patiently hand-made for 2 months. Some items like flower basket, wedding candles, bible cord, missalettes, reception place cards, mothers and bridesmaids’ headpieces, groomsmen’s boutonnieres, and other game props were also hand made by the bride. The brooch bouquet was the biggest hit, especially when the guests noticed that the bouquet’s chain was a small picture frame with Chase’s photo in it and the groom’s boutonniere was actually a small frame with Cristina’s photo as well. In choosing wedding suppliers, their best friend were the online wedding resources available like Kasal.com. Chase and Cristina were both very happy with all their suppliers including their prenuptial venue Fernwood Gardens. “Mr. Al de Veyra of Fernwood Gardens where we shot our prenup and postnup shoots, was very humble, kind, and accommodating.” The guests were also raving about the scrumptious food from Josiah’s Catering. 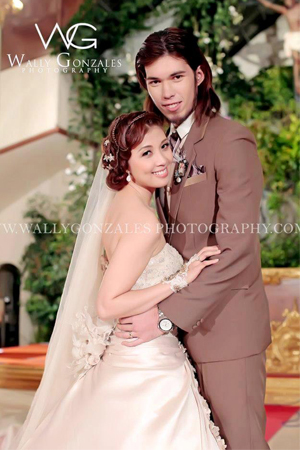 The couple also wowed their guests with the wedding gown and groom’s suit creations by Edward Teng. The guests fell in love with Cristina’s fully-beaded ball gown and her Victorian accessories. For more wedding inspirations, visit Kasal.com Real Weddings.